Gifts From Home are care packages you can send directly to your student. 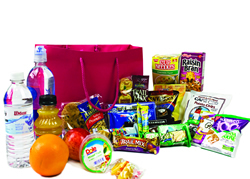 The care packages can be picked up from 2 convenient locations on campus. For questions, please contact [email protected] or call 413-545-2472. 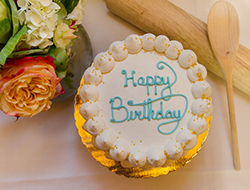 Celebrate your special someone’s birthday with a beautifully decorated 10” cake from UMass Bakeshop. Please allow two business days, Monday - Friday for all bake shop orders. 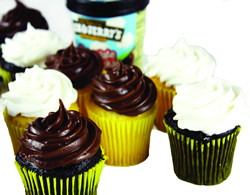 An assortment of one dozen cupcakes makes this a perfect way to show someone special that you care. Let someone know you are thinking of them with these freshly baked cookies or brownies from our UMass Bakeshop. This package includes either 1 dozen chocolate chip cookies and 1 dozen sugar cookies OR a tray of brownies. 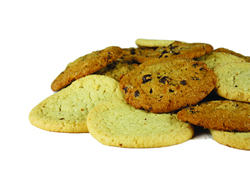 Send a decorated 10” chocolate chip or sugar cookie for any special occasion. A great way to say “Happy Birthday”, “Congratulations” or “Thinking of you”. 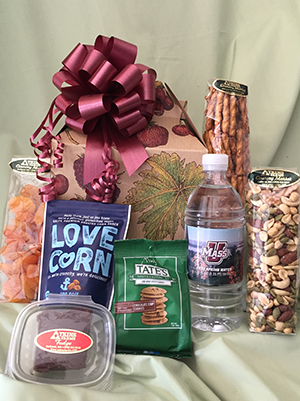 This basket is filled with healthy snacks, including UMass Spring Water, Mixed Nuts, Dried Apricots, Atkins Farms Homemade Chocolate Fudge, Tate’s Chocolate Chip Cookies, Love Corn, Butter Pretzels arranged in a small gable gift box and topped with a bow. Trick or Treat! 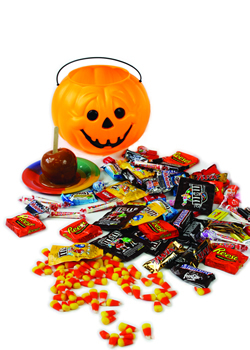 Your student can be a kid again with this Jack-o'-lantern gift pail filled with Halloween candies such as M&M’s, Nestle candy bars, Twizzlers and peanut butter cups. Only available the week of Halloween. Available for pick up from October 26th to October 31st. 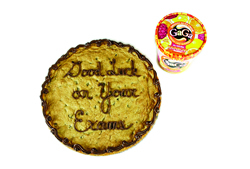 Let someone know you are thinking of them during exam time with these delicious exam treats. This package is only available for pick up. A must for exam preparation! Only available the finals week. Available for pick up from May 1st to May 8th. Last Day to Order is April 24, 2019. This basket is perfect for anyone with a gluten sensitivity! 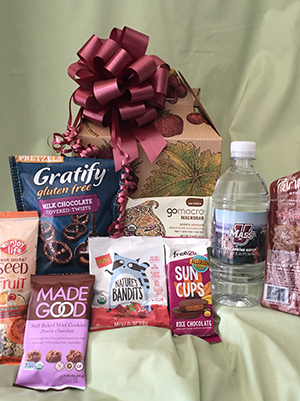 It’s filled with premium Gluten Free snacks including UMass Spring Water, Sun Cups, Go Macro Protein Bar, Enjoy Life Seed & Fruit, Made Good Chocolate Cookies, Primal Vegan Jerky, Nature’s Bandits Fruit Sticks, Gratify Chocolate Pretzels arranged in a small gable gift box and topped with a bow. Please allow two business days, Monday - Friday for all bake shop deliveries.